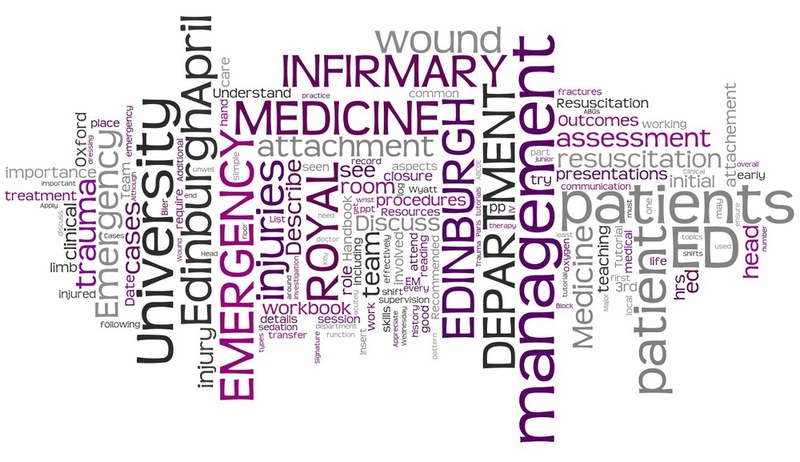 The ED at the RIE has always been closely linked to the Edinburgh MBChB programme. All final year medical students have a two week Emergency Medicine placement in the ED in either St Johns or RIE. During this time they work the same shifts as the junior doctors becoming part of the ED team. The main aims of the EM module are for students to gain experience in the recognition and management of acutely unwell patients and to see patients, present them back formulating a rational problem list and management plan. Students tend to really enjoy the module, particularly feeling like part of the ‘family’. It is our philosophy within the department to try and treat students as a welcome and valuable resource. In 2012/13 92% of students rated the module as good/very good and would recommend it to a friend, making EM the highest rated 5th year module.